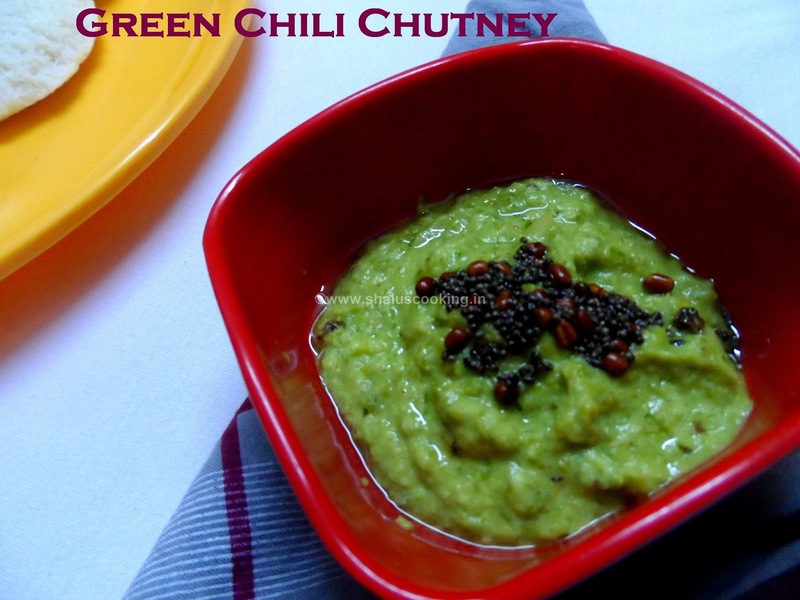 Green Chili Chutney, you feel the hotness when you read the name isn't it? Yes, its going to be really hot and spicy chutney. This will be apt for this weather. It's raining here in Chennai for the past few days, I remembered this chutney and made it immediately for the dinner. It was wonderful to eat with idli. Loved it! 1. Fresh Green Chilies – 12 No. 4. Coconut Oil – 2+1 tbsp. 6. Urad Dal – 1/2 tsp. 1. Wash the Chilies and roughly chop them. Peel the garlic cloves and slice them and keep it ready. 2. Heat 2 spoons of coconut oil in a pan and add the green chilies and saute for few minutes until the color of the chili skin changes. 3. Once the color of the chili skin changes to pale white color, remove the chilies from pan and keep aside. Add the sliced garlic cloves in the remaining oil and saute till you get the flavor of garlic. 4. Remove the garlic from the pan. Let it cool for few minutes. Now, add the green chilies, garlic, salt and tamarind piece to a blender and grind it to a coarse paste without adding water. 5. Add water little by little and grind it to chutney consistency. 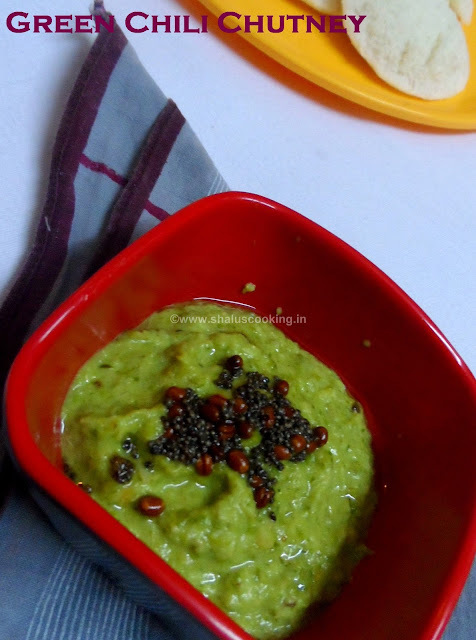 Transfer the chutney to a bowl and season it with mustard seeds and urad dal using coconut oil. Hot and Spicy Green Chili Chutney is ready! Makes a very good combination with idli and dosa. You can reduce the number of green chilies and add more garlic according to your spice level. If you feel the chutney is very hot, then you can mix a spoon of coconut oil to it. This will reduce the spiciness to certain level.